Kittilä is a municipality of Finland and a popular holiday resort.It is located in northern Finland north of the Arctic Circle within the Lapland region. Kick off your visit on the 4th (Wed): get outside with Scandinavian Adventures and then get outside with Seven Fells Up. On the next day, gear up at Elan Ski Shop & Rental, get your game on at G2 Ice Karting Levi, and then identify plant and animal life at Wildlife Areas. For other places to visit, photos, and tourist information, read our Kittila travel planning app . Geneva, Switzerland to Kittila is an approximately 13.5-hour flight. You can also drive. The time zone difference moving from Central European Time (CET) to Eastern European Time (EET) is 1 hour. Prepare for slightly colder weather when traveling from Geneva in September: high temperatures in Kittila hover around 13°C and lows are around 5°C. Finish your sightseeing early on the 5th (Thu) so you can drive to Saariselka. Get in touch with nature at Reindeer Farm Petri Mattus and Lake Inari. 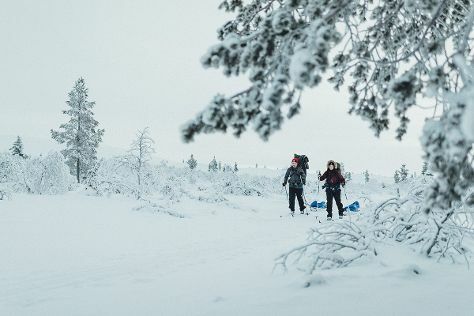 Discover out-of-the-way places like Pielpajarvi Wilderness Church and Inari Reindeerfarm. On the 7th (Sat), spend an exhilarating day on the slopes at Saariselka Ski & Sport Resort. To see ratings, traveler tips, and more tourist information, use the Saariselka travel route planner. Drive from Kittila to Saariselka in 3 hours. Alternatively, you can take a bus. In September, daily temperatures in Saariselka can reach 13°C, while at night they dip to 4°C. Finish your sightseeing early on the 8th (Sun) so you can travel to Pyhatunturi. Kick off your visit on the 9th (Mon): explore the striking landscape of Pyha-Luosto National Park. Here are some ideas for day two: look for all kinds of wild species at Kopara Reindeer Park. To find more things to do, other places to visit, where to stay, and other tourist information, go to the Pyhatunturi travel itinerary planner. Getting from Saariselka to Pyhatunturi by car takes about 2.5 hours. Expect a daytime high around 14°C in September, and nighttime lows around 5°C. Wrap up your sightseeing by early afternoon on the 10th (Tue) to allow enough time to travel back home.